The Lowdown: Vagabond N7 are all about the brunch and coffee life. Repping killer brunch dishes and fantastic coffee, this North London gem comes alive at the weekend. 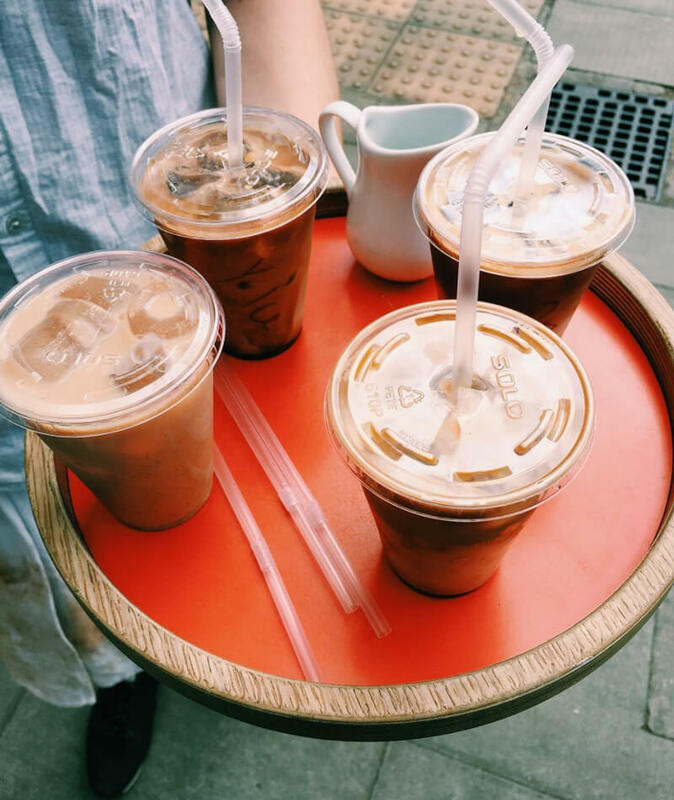 The team here take coffee very seriously – and their soya iced latte tastes like a liquid dairy-free dream. It’s foamy, frothy and we say it’s probably one of the best north of the river. Eat and Drink: Go for the Tree Hugger with potatoes, roasted veggies, eggs, beans and sourdough – it’s so good. If you can’t stay for brunch, grab one of their egg and bacon baps to go. So wholesome. And so delicious. The Lowdown: The Coffee Jar gets us onto many levels. Firstly, their cake selection is tip top – think vegan granola bars, slices, and gluten-free banana bread, and their iced coffees are blooming tasty. 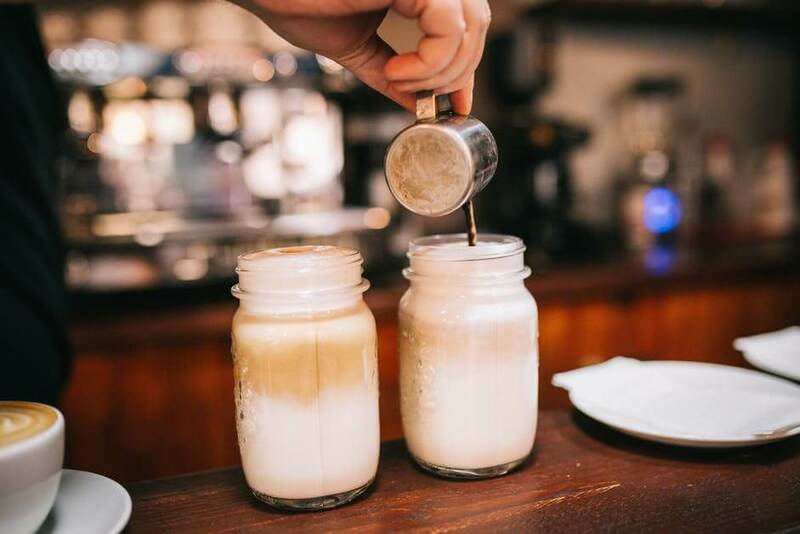 Eat and Drink: There’s plenty of dairy-free loving at The Coffee Jar, and you can take your pick between almond, oat or soya. Their soya iced latte is a classic, but their iced oat milk latte is divine. Expect sweet treats galore. We’re never one to turn now a peanut butter and jam slice, or a chocolate cookie the size of our money maker. 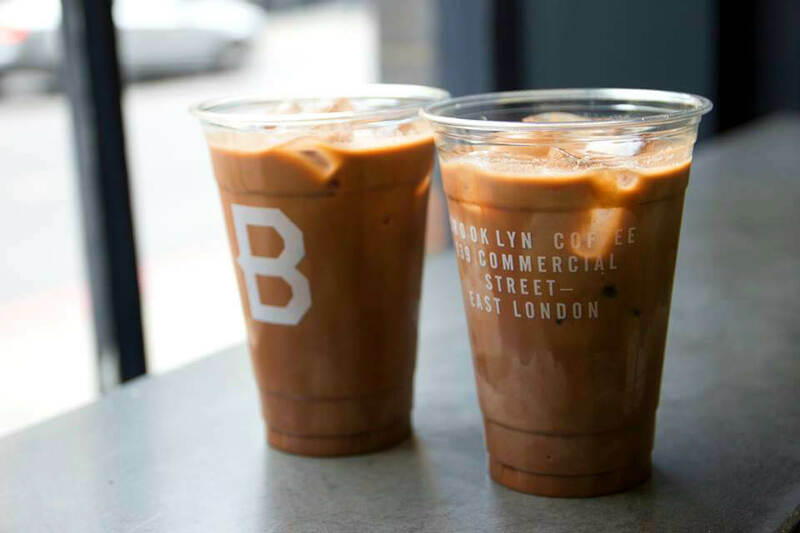 The Lowdown: If you find yourself unfulfilled by your standard cup of coffee, let us introduce you to Brooklyn Coffee. They’ve considerably upped the coffee portion size game, and haven’t compromised on the taste. A must-visit. 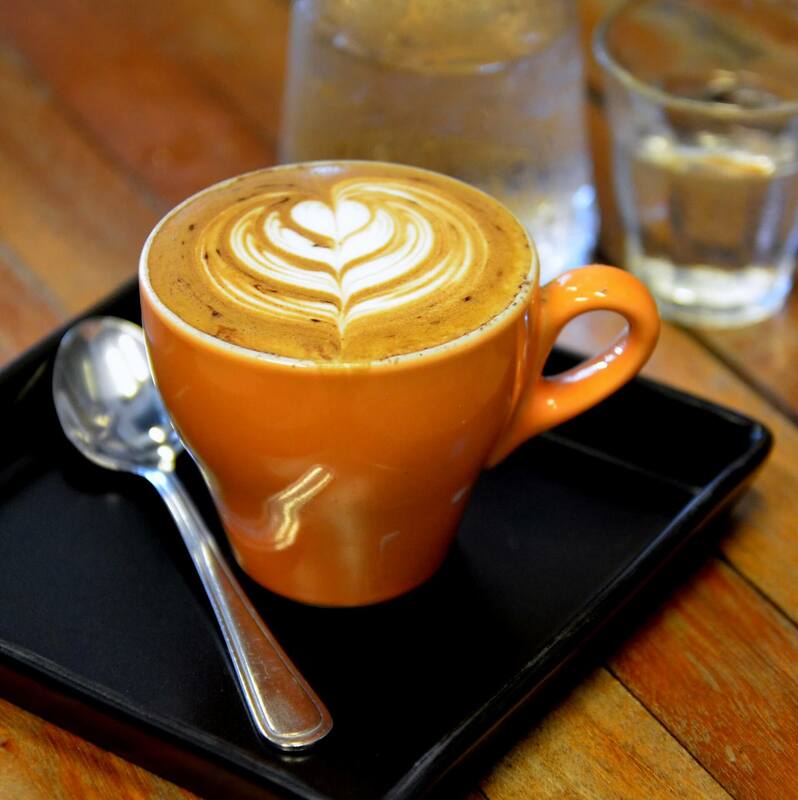 Eat and Drink: The coffee here is worth travelling across town for. We dig their laid back vibe, cool interiors and their soya iced latte creations. These guys continue to bang out some mega coffee in the Shoreditch area. And their iced almond latte is darn dreamy too. 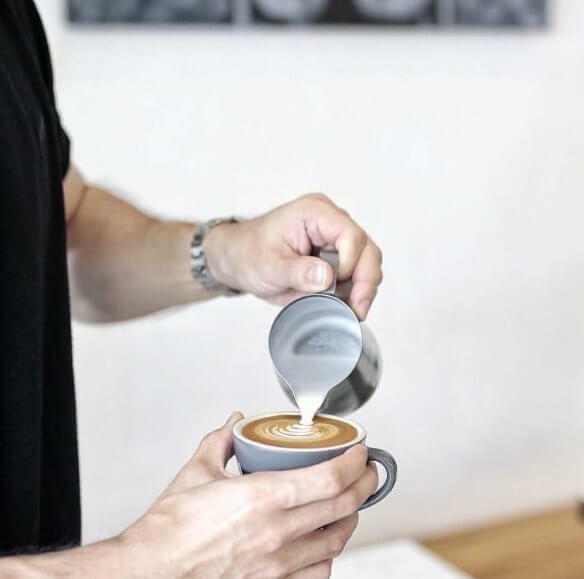 The Lowdown: We’re slightly jealous of the office folk in Fitzrovia, Clerkenwell and Old Street, mainly because they can swing by The Attendant for their coffee fix. 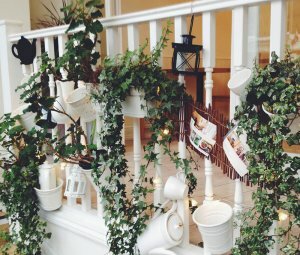 We’ve got a lot of time for the coffee here – the beans are soured from single estates and farms, and great care has been taken into the roasting and brewing process. You can enjoy an iced latte with either soya or almond milk – both are smashing choices. 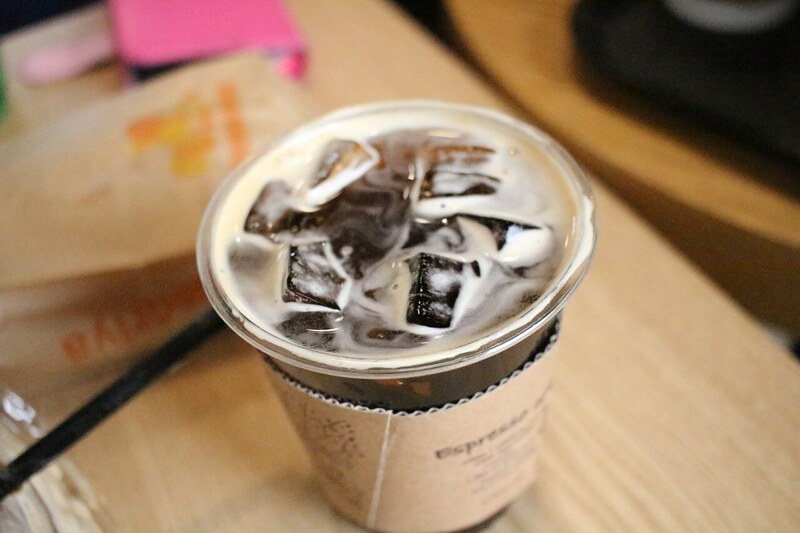 And if you need a chocolate hit, the iced soya mocha will certainly do the trick. Eat and Drink: Eat all the brunch. The Dulce de Leche French toast with apple and pear chutney, and spiced pecans, and the maple cured British smoked streaky bacon on sourdough with wholegrain mustard butter and a fried egg are our top picks. One of the best dairy-free iced lattes in London, for sure. 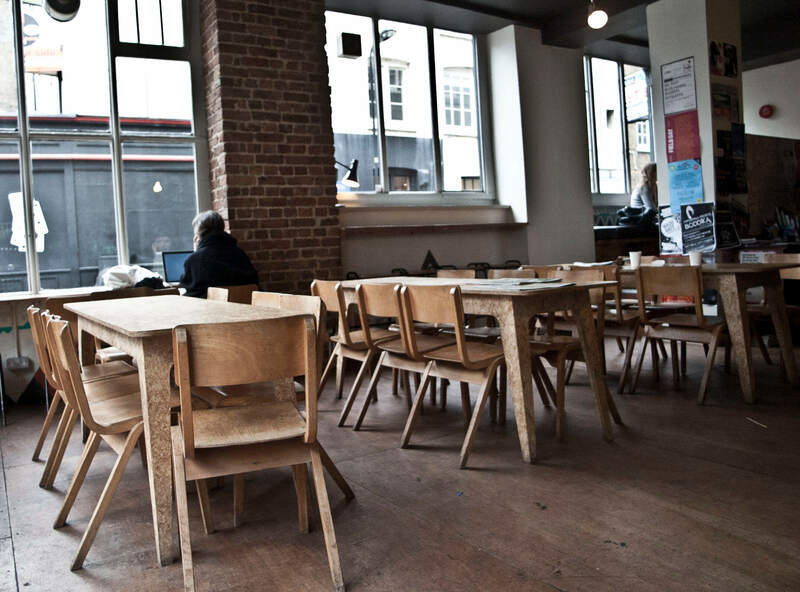 The Lowdown: Friends of Ours is a little independent cafe that lives up to the hype. This laid-back, antipodean-style café located a stones throw from Old Street Station is worth the queue at the weekend. Aside from their inventive brunch eats, the guys and gals throw down some serious iced goodness. 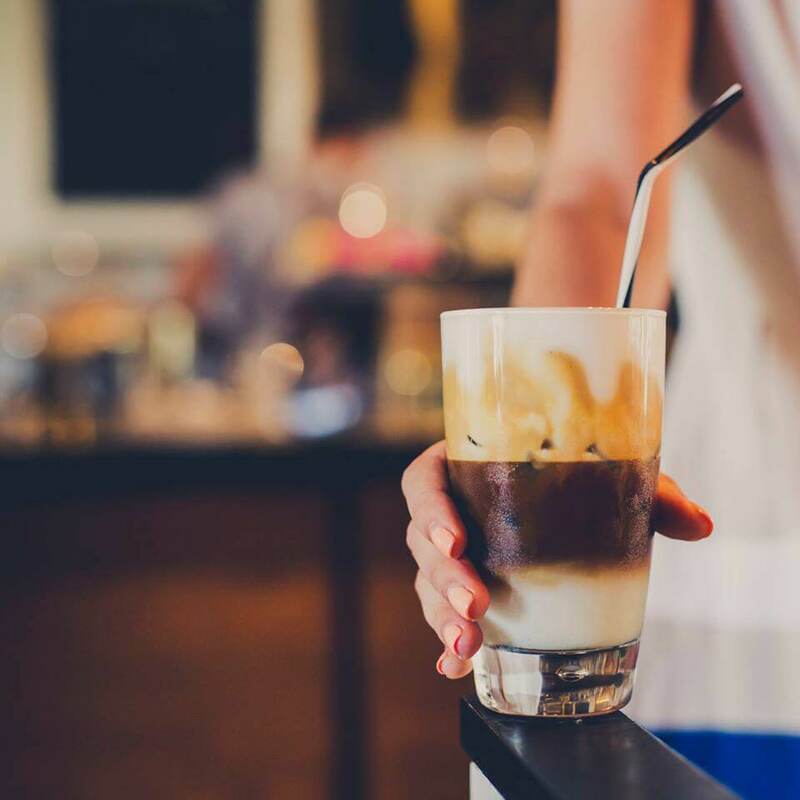 We’re talking about thick and creamy soya iced lattes that would please all the dairy-free queens – one of the finest dairy-free iced lattes in London. Eat and Drink: The team regularly switch up their brunch menu, but expect everything from fried chicken bao to matcha French toast. And their Tim Tam brownies are naughty, but so so nice. Friends of Ours also serve iced oat milk lattes – and we’ll tell you this now, they’re going to be the next big thing. You heard it here first. 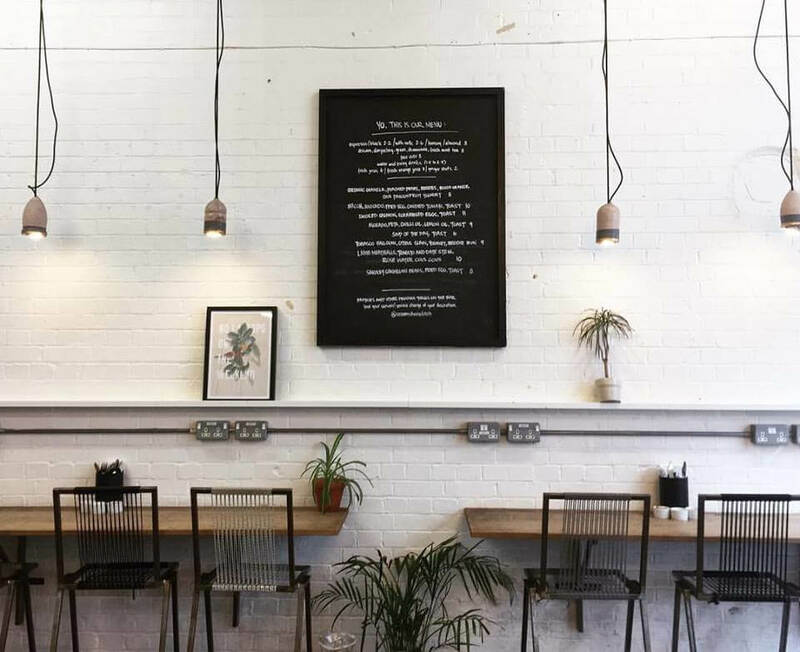 The Lowdown: Fix Coffee have two outposts in London, and their cups are consistently filled with magical caffeinated joy. We can’t get enough of this place; they concentrate on simple, honest food with a tonne of flavour. Eat and Drink: They serve breakfast toasties, and good God they’re ruddy marvellous. They put the same love into their food as they do their coffee and juices – it’s a total win. They iced soya latte is a belter – a thick consistency, using a coffee blend roasted by Climpson & Sons. The Lowdown: Antipode is Hammersmith’s answer to a decent dairy-free iced latte, and a welcome relief from the high-street chain monstrosities. 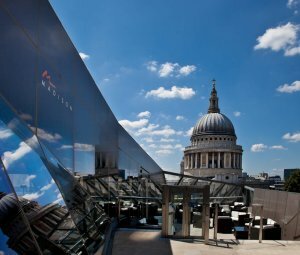 Both their food and drink menu is concise – pastries, salads and sarnies, and there’s a cracking brunch selection too. Eat and Drink: Iced chai latte: that’s all you need to know. Hammersmith was crying out for somewhere as delicious as this, and their dairy-free iced latte is one of the best in London. 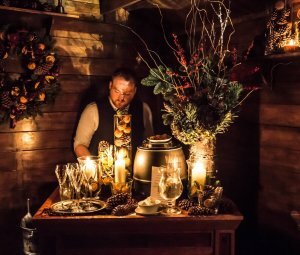 The Lowdown: L’Atelier Dalston is cool on so many levels; the decor, the weird ornaments, and the fine array of taxidermy. East London eat your heart out. They do fantastic house-made lemonades and some of the best breakfast in London – you can’t go wrong with their smoked salmon and rocket omelette with parmesan shavings. 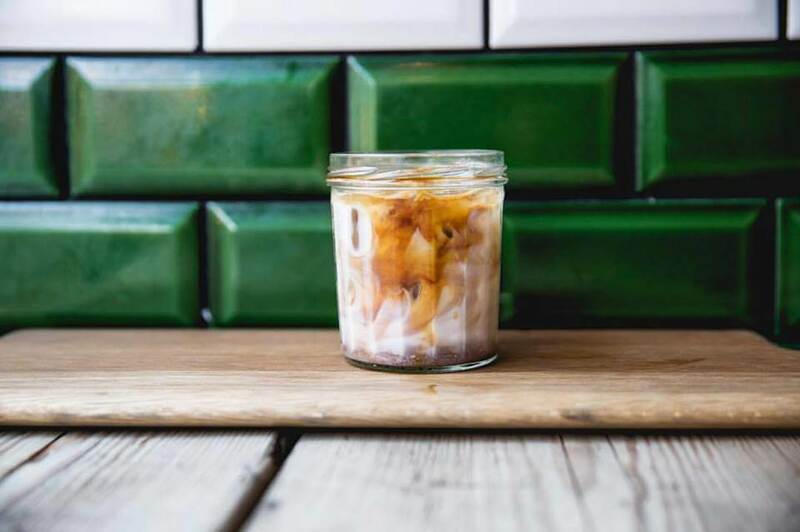 Eat and Drink: One of the best dairy-free iced lattes in London; their iced drink selection is marvellous. Aside from their iced coffees, the gang also whip up delicious iced teas. The iced mint tea is the perfect summer refresher. The Lowdown: Hip Shoreditch eatery Cream is super cool. A daytime café, with an ever-changing menu of ingredient-led cuisine and fine coffee – it’s fast becoming our new go-to spot. Think white walls, wooden furniture, floor-to-ceiling windows and quirky lighting. We don’t care what you say, Bonsoy in an iced latte tastes marvellous. Eat and Drink: If you like eggs, you can’t miss their scrambled eggs with smoked salmon and broad beans on toast, trust us. 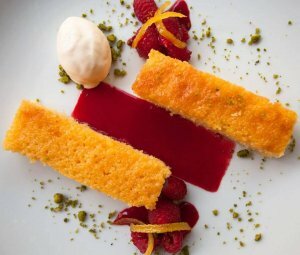 For inventive, seasonal food, it simply cannot be beaten. The Lowdown: You can’t beat Melrose & Morgan. In fact, it’s one of our favourite places to hit up for an iced latte. 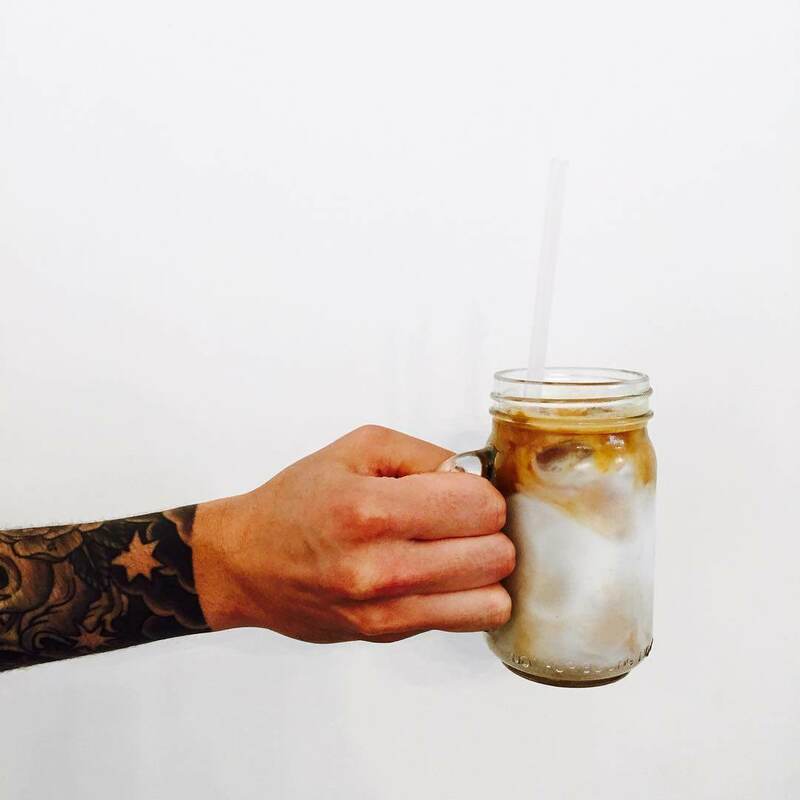 They use Bonsoy or Oatly – so you can get the perfect dairy-free iced latte here. Get a coffee to take away and head to Primrose Hill. One of the best ways to spend a lazy Sunday. Eat and Drink: Their almond croissants are seriously good. In fact, all their freshly baked items are the stuff of legends – we love their gluten-free brownie and raw cheesecake. If you’re looking for something savoury, their lunchtime salads are delicious. The Lowdown: Flocafe Espresso Room is a buzzing neighbourhood hangout in Mayfair. This cafe fuses breakfast bites with excellent coffee and lunchtime nibbles. Already a hit in Greece, the London outpost opened last year, and they’ve already earned themselves a legion of coffee fans. Eat and Drink: They serve their iced latte with vanilla soya milk. It’s essentially nectar from the Gods.